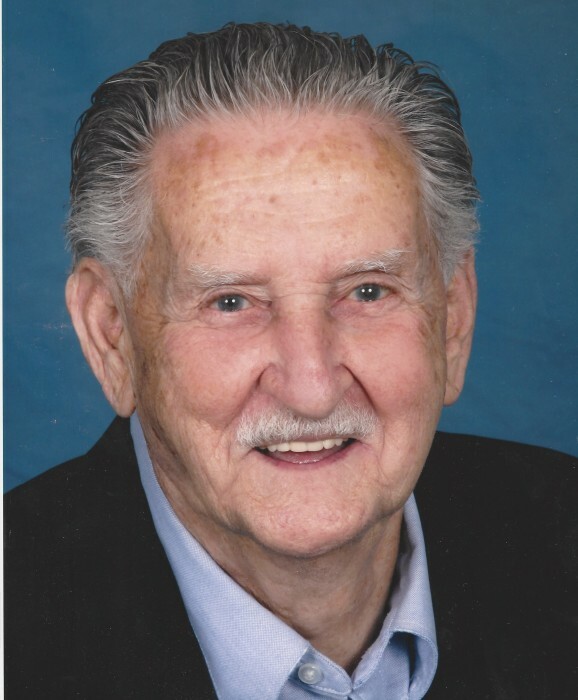 Raymond Jesse Morris, Sr., 97, of Stanley, went home to be with the Lord, Monday, April 8, 2019. He was born in Danville, Virginia, son of the late James Morris and Annie Goodman Morris. In addition to his parents, he was preceded in death by his wife Kathleen Dowell Morris. He was a man of strong Christian faith and a great role model to his children and grandchildren. He left a lasting influence of laughter and Christianity with everyone who had an opportunity to meet him. He was an amazing man that was full of life, laughter, and stories. He retired after years in textiles. He worked as an auctioneer, cow trader, and at the flea market. Most of all, he was full of stories. Once, he traded for a cow and hauled it home in the backseat of a 1950 Ford. He loved watches and if not careful, he would talk you out of yours. On April 8th, he made his last trade - earth for eternal life in Heaven. Those left to cherish his memory include his daughter Elaine Bennett (Bouldin) of Stanley; son Raymond J. Morris, Jr. (Debbie) of Lincolnton; grandchildren Darlene Carver (Larry) of Alexis, Allen Bennett (Patricia) of Stanley, Michael Morris (Jenny) of Myrtle Beach, Jeff Morris, Sr. of Charlotte; seven great grandchildren and seven great-great grandchildren. A service to celebrate his life will be held 11:00 a.m. Saturday, April 13, 2019 in the Woodlawn Chapel of Woodlawn Funeral Home in Mount Holly. The family will greet guests for one hour prior to the service beginning at 10:00 a.m. Interment will follow the service at Gaston Memorial Park in Gastonia. In lieu of flowers, memorials may be made to Lincoln County Hospice or to Levine Dickson Hospice House of Huntersville.